Jason Isbell showed The Late Show With Stephen Colbert audience that he had brought the rock back out for a spin. Fresh off the release of his more electric new album, ‘The Nashville Sound,’ the Alabama native and his band the 400 Unit unleashed a tight and spirited rendition of their lead single, “Hope the High Road” at Ed Sullivan Theater last Tuesday night. 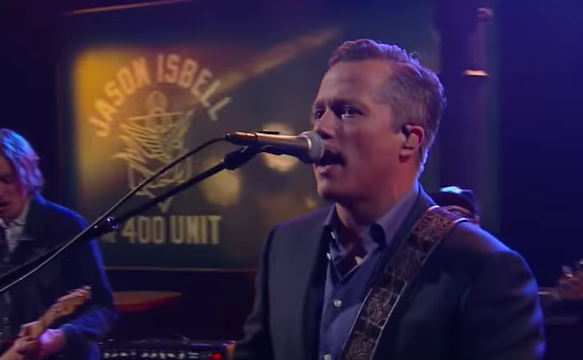 Look for this level of greatness as Isbell and the 400 Unit will be on the road for theater, amphitheater, and festival dates until their sold-out residency at Nashville’s Ryman Auditorium in October.